New York State officials are still working overtime to shield government unions from the impact of the U.S. Supreme Court decision in Janus v. AFSCME. 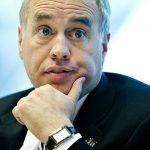 This week, Comptroller Thomas DiNapoli’s office has issued new guidelines effectively giving the unions the prime say on efforts by employees to opt out of union dues payments. In recent weeks, several state employees have privately informed the Empire Center that they had asked their agency payroll offices to rescind their union dues authorizations in the wake of Janus, which invalidated a 1977 state law requiring non-members to make dues-like agency fee payments. There’s no official count of how many similar dues opt-out requests have been processed at the agency level since the Janus ruling. Now, however, the comptroller’s office, which administers the state payroll, is moving to block the exits. Beginning August 24, OSC writes, virtually all union dues deductions from state paychecks will be controlled by the unions themselves, with agency payroll offices unable to make changes. There are several major problems with that approach. First, OSC conflates union membership, “the relationship,” with union dues deductions. The state has no authority to interfere with an employee’s decision to join or leave an association or organization, especially not one as political as a government union. Intercepting funds on behalf of that organization, however, is a separate matter. Compelling anyone to pay a government union is strictly forbidden under Janus. Next, giving the unions final say over what comes out of an employee’s paycheck isn’t just an improper delegation of governmental powers. It violates both state law and the U.S. Supreme Court’s holding in Janus. Most workers signed dues deduction authorizations (membership cards) under a decades-old section of state Finance Law giving them the right to change their mind about union dues deductions at any time. That section of the law was changed in April in a bid to make it difficult for workers to opt out, but it still governs any authorization signed while it was in force. State law now says people may only stop union dues deductions “in accordance with the terms of the signed authorization”—but given that OSC often is the party named in those terms, and OSC isn’t honoring the requests, that’s a big problem. In saying it must “rely” on the union, OSC suggests it can’t prove anyone has consented to union deductions, or if they have, that it doesn’t know what terms he or she did it under. OSC is setting the state up to be sued by workers who would correctly point to the Janus decision as requiring an immediate stop to dues deductions for those workers rescinding the authorizations. Dues typically exceed $600 a year and can total more than $1,000 a year for many workers. New York employees always have had the right to withdraw from union membership and dues obligations. Now that Janus has invalidated dues-like agency fees, workers have an added reason to reconsider their union status. And taxpayers have good reasons to expect their state government to honor worker rights. 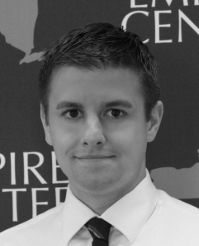 - Ken Girardin is the Policy Analyst at the Empire Center for Public Policy.